Hudson River Sunrise. Photo by Maureen Moore. 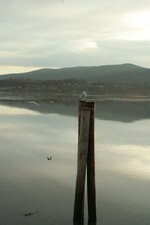 Maureen Moore took these photos of the Hudson River from Front Street in Newburgh early Saturday mrorning. She notes that the sunrise was beautiful and the seagulls were very entertaining.